No doubting that computing and technology is one subject that truly crosses the boundaries of all subjects and has a pivotal role to play in developing our future Steve Jobs and Grace Hoppers at DESC. As I explain here in a previous post, Seven ways to use ‘Four to Grow’ we aim to develop procedural knowledge (skills) alongside propositional knowledge (Subject content). 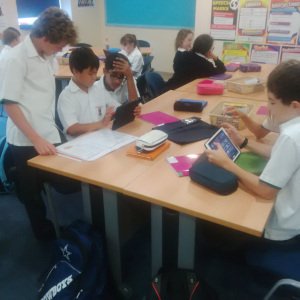 Developing our students as critical thinkers who innovate, display initiative and entrepreneurship, as collaborative learners, accessing and analysing information, whilst firing their curiosity and imagination….no mean feat! 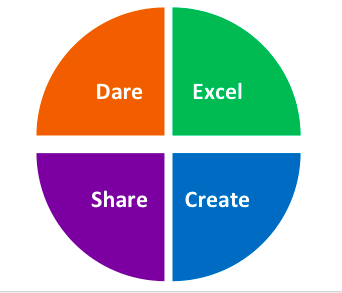 Here I share 12 web tools/Apps that I have found to be of most value to student learning and and have grouped these according to DARE, EXCEL, SHARE, CREATE. Plickers– Plickers is a handy immediate assessment tool for the classroom, all you need is one device and a few pieces of paper/card. Each student is given a card with a unique visual code. The code has 4 sides, each lettered A, B, C, and D. The student holds the card so that the letter they choose to answer the question with is at the top of their card. The teacher uses their IPad/smartphone to slowly scan the room. The app recognises the cards, records who the teacher assigned them to, and captures the answer that the student chose. The results appear live and in real time on the teacher’s device, or they can be projected on a large screen for the whole class to see via the Plicker’s website if required. Ensures all students give an answer, including those who normally wouldn’t dare to have a go. Showbie- Showbie has been designed to save time and paper by having students submit assignments within the app. Teachers can then grade assignments on the go without worrying about losing student work or keeping piles of papers organised. Teachers can also use the app to provide students with new ways to demonstrate their learning. Students can select tools that best suit their interests and also incorporate creative learning apps. Teachers can provide feedback students with the feedback they feel they would most benefit from, written notes, typed notes, or voice recordings. Aurasma- Augmented reality allows someone to add another layer to an existing image and bring it to life. Aurasma has been around for a couple of years and still remains the most popular app, due to users being able to create their own Auras. Its uses for education are limitless and indeed move beyond the realms of the classroom and has the potential to transform our everyday lives. I recently read this article ,where Mark Zuckerberg (Facebook CEO) outlines his 3, 5 and 10 year plans for Facebook. 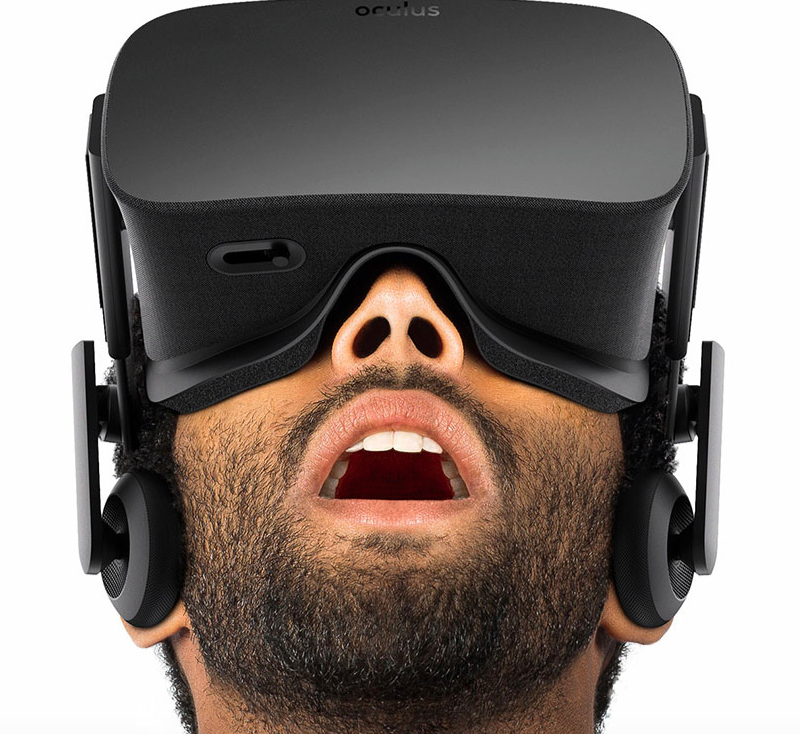 Zuckerberg believes that virtual and augmented reality will become an everyday part of the future of computing and as part of FB’s Ten year plan they are investing heavily in the virtual reality company, Oculus. Particularly like the sound of the Rift! Scientists should take note of the following company Arloon who offer virtual reality apps and programmes for teaching Science. 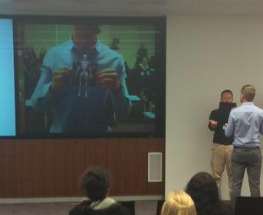 I saw this in action at a SPARK event and it was incredible to see the human anatomy brought to life in skeleton form! Another app worth noting for its use of augmented reality and usefulness to education is Wikitude. Wikitude operates a browser that presents the user with data about their surroundings, nearby landmarks, and other points of interest by overlaying information on the real-time camera view of a smart-phone. Really handy for educational visits! The teacher could prepare an Augmented reality fieldtrip by adding a POI (Point of Interest) along the route which subsequently students could find additional information at relevant points by launching the Wikitude app. Socrative- Socrative was reintroduced to me by Neil Atkins who was doing some CPD at DESC a couple of months ago, it’s a classroom tool for visualising and measuring student understanding in real time. Some of the things you can do with Socrative include, creating quizzes, assessing and checking students comprehension using true/false or multiple choice question, polling your students using multiple choice question. Socrative then sends an instantaneous report of the finished activity to your email address. In the case of a quiz, it sends you a report that features students results allowing you to give students quick feedback. Explain Everything- Probably my personal fave Education app, EE is an easy to use design, screen casting, and interactive whiteboard tool that lets you annotate, animate, narrate, import, and export your presentations to almost anywhere. For some handy instructions and a tutorial click here. 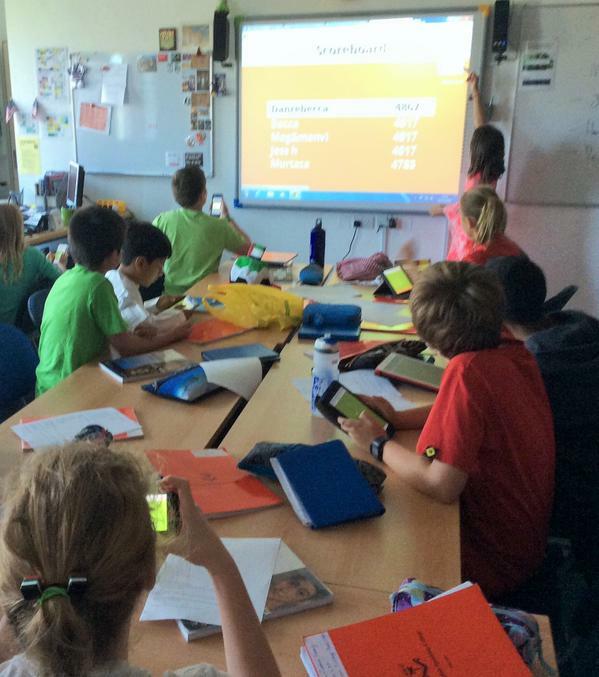 Get Kahoot- The kids do love a bit of Kahoot, it uses a game-based learning approach to inspire creation and research in students and is an entertaining and fun way to assess learning. The students also like to develop their own quizzes, though I would advise checking these first as it can be confusing if they have recorded an incorrect answer! 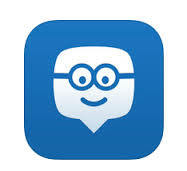 Edmodo- Having flirted with a few learning management systems, I always seem to come back to Edmodo. It is an ideal way to safely connect and share resources with your students, supplementing what you do with them in lessons. You create groups for your classes and the format resembles the social networking platform Facebook. You can post links, upload documents to a newsfeed and also set assignments. Additionally you can store an unlimited number of documents in your Edmodo Library and these documents can be shared with your Groups using folders. Edmodo integrates with Google Docs, you can access your Google Drive folder directly from your Edmodo Library and make files in your Google Drive folder available in your shared folders. Google Drive- GD is a file storage and synchronisation service created by Google. It allows users to store files in the cloud, share files, and edit documents, spreadsheets, and presentations with collaborators. Blendspace- Another gem I picked up from a colleague at a SPARK event, is Blendspace. I’m setting myself the target of getting my head around it properly this academic year and exploring how it could be useful in supporting the students I teach. Blendspace (formerly EdCanvas) is a free web tool for teachers to collect resources in one place to form an interactive lesson for students or colleagues. When you create a Blendspace lesson, you can pull in videos from YouTube, websites, pictures,or links and images from Google. You can import from Dropbox, or Google Drive and you can upload your own files, like PowerPoints or resources housed on your own computer. Pretty much any resource you can imagine or that you would pull together to share can be embedded into a Blendspace lesson. One of the best features is that when your students create an account, you can tell whether they have accessed the material and how long they have spent on it. Also where you have posted a link to a video, for example, students can annotate next to this to ask further questions. Keynote- Keynote does what it says on the tin. An app making it simple to create and deliver beautiful presentations. 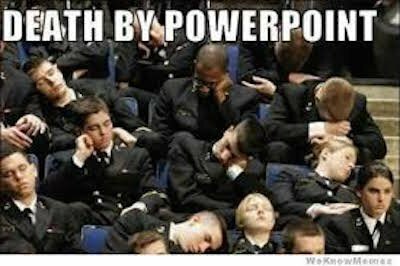 A more sophisticated and interesting alternative to Microsoft’s PowerPoint. Book creator- Recently voted ‘Best education app’ at BETT 2015, this app allows students to create their own books and become published authors on the ITunes store. Click here for a Teacher Guide to Book Creator that contains over 50 ideas for using the app in lessons. IMovie- Apple designed iMovie in such a way that it has become next to impossible for any other software developer to beat it. The presentations created by iMovie are highly distinguished and are ideal for classroom teaching. Give students a structure or success criteria for what their presentation/ movie should contain and then leave the rest to them. The results are usually pretty stunning!